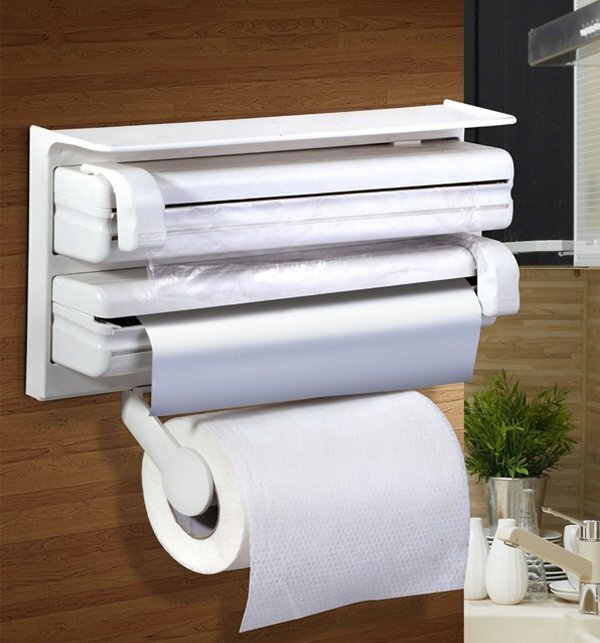 Get all in one in a single Paper Dispenser which is perfect for kitchen and work place, it saves spaces and makes it convenient to use toilet paper, cling film handkerchief and foil at the same time. It is made by high quality plastic, with the size of 38.5 x 7 x 19 cm including kitchen towel holder. Order this most needed kitchen gadget. the kitchen accessories are nice. The potato cutter specially feels very high quality in every aspect. I would like to see more quality and amazing products from shoprex just like this simple yet high quality potato cutter. the kitchen accessories are certainly strong. I have purchased products like the potato cutter, heating lunch box and the water bottles and so far each and every sort of accessory is working quite alright for about 4- 5weeks of rough use. I am noticing that you also have Electrolux fridges. I think this is a good brand in the usa but here it’s a new comer and so I would like to order it from your website so please tell me procedure and shipping method and charges. Dear Fareesah, it has three function in open. woah, how is it different from normal dispensers. this is genuinely a life changing product for me . it has altered the level of difficulty and hassle in the kitchen to a mere zero. undoubtedly it helps out in a very simple yet majorly over powering way. this heater is one of the best and most amazing additions in shoprex's collection. i have always always loved it since the moment i bought it. i have always thought that it was nice in heating quickly. You are looking now latest Triple Paper Dispenser price in pakistan market 2017 including in all major cities, Triple Paper Dispenser Price in Karachi, Triple Paper Dispenser price in Lahore, Islamabad, Faislabad, Pesahwer, Quetta, Multan, Rawalpindi and many more cities.